This CISI-International Introduction to Securities and Investment Examination provides a comprehensive introduction to the financial services industry with a specific focus on investments from a global perspective. It is intended for new entrants and staff who are beginning their career in the financial services industry. The broad topics covered make the qualification suitable for all staff, not just those responsible for making investment decisions, including administration, finance and accounting, IT, customer service, sales and marketing and HR and training. A comprehensive entry-level qualification - provides a detailed overview of investment and industry terminology from a global perspective. First step in the CISI's qualification pathway - can be taken as a stand-alone qualification or as part of the Investment Operations Certificate (IOC). Ideal for induction purposes - can be integrated into induction programmes to ensure a benchmark level of understanding amongst all employees. Free CISI Student membership - become associated with a Chartered professional body and take advantage of an extensive range of benefits. It explores the broader economic environment in which the financial services industry operates and looks at how economic activity is determined and managed in different economic and political systems. 1. Who can take CISI - International Introduction to Securities and Investment Certification Examination? a. Intended for new entrants and staff who are beginning their career in the financial services industry . 2. How can I register for CISI - International Introduction to Securities and Investment Certification Examination? Indeed, an e-learning solution provider is all set to help its users (students) to get the best way to crack online exam easily. Here at Intelivisto, we present extensive e-learning tools for online exam preparation for CISI - International Introduction to Securities and Investment and many other professional certifications in financial sectors. Known as the best-ever emergent online assessment portals in India, the company is fully engaged to present good-quality online test preparation, study material, question bank, mock tests, test papers, practice tests, sample papers to its students. Available 24x7, this online educational portal is committed to assist its students to have an access, use, store, retrieve and use again the required content that enable them to mark best in their exams. This online e-learning platform has its presence to avail questions and answers with the very clarifications prepared by our experts. Also this online platform conforms to a diversity of convenience principles that make sure for learners may take part fully in online courses. At Intelivisto, its question bank gives users the real time exposure of the CISI mock exam papers for certifications such as CISI - International Introduction to Securities and Investment Certification, etc. This e-learning system lets to effectual management, records, tracking, and coverage of e-learning programs and teaching content. Intelivisto has come with a vision to give its users a centralized and mechanized administration of data that can be used through self-service and self-guided services. All in all, the company comes with well-organized learning management system intended to improve and to support classroom teaching to a larger number of learners all across the globe for financial services industry Exams. Designed as per parameters put by top securities market institute CISI. CISI Mock Exam papers that holds 18 unit practice tests and 6 full length practice tests (in total 24 tests). Each test has 3 attempts. Takes the similar pattern and testing mechanism as put for online CISI tests. Covers the different topics drawn for CISI - International Introduction to Securities and Investment certification in small details. Get online tests and examine your performance with comprehensive report at a microscopic level with our evaluation tools. Get in depth knowledge of CISI - International Introduction to Securities and Investment through our trainings and workshops by market professionals and build up essential trading plans effortlessly. 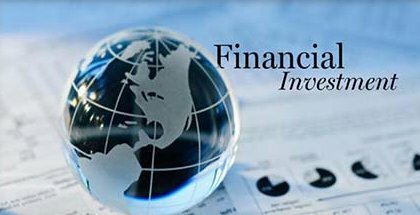 Here at Intelivisto, you get ready to crack CISI - International Introduction to Securities and Investment with confidence. So, we would be more than happy to give you all assistance for online test preparation for CISI by not only help you attain the certification but also to outfit you with the necessary skills-set. If you wish to obtain online CISI practice test, you may do so after registering with us, which is completely free of charge and afterwards you could access our diverse product categories and receive particular product's mock test. Please feel free to get in touch with us for all your queries related to registration for CISI certifications. 30 Day Money Back Guarantee ? Clear all our practice tests in first attempt and get the money refunded in case you are still un-successful in your certification exam. Perfect way to cover the full syllabus with proper questions and also covers section wise test preparation. Thank you Intelivisto!!! Purchased CISI - International Introduction to Security and Investment at a very reasonable price. Question and answer provided is as per CISI standards.